In a pre-PAX panel press conference today, Bioware developers gave a brief presentation on the world of anthem . The clear message is that they do not forego single-player storytelling with cool NPCs. However, it is unclear whether what they offer will be enough. Anthem is a bit different from previous bioware games when it comes to NPCs. After all, it's a multiplayer game, so you do not have the ability to take non-player characters on missions. In previous games, you had an epic quest with the player in the middle, and that player was surrounded by all sorts of interesting party members and other NPCs. Throughout the game, Trial and Tribulation brought players like Garrus Vakarian close to Party members. When the story works, deep attachments form. Based on the presentation, anthem will not have this type of NPC. Instead, there are a number of static NPCs who spend their lives in a central zone responding to decisions they make in missions after missions. 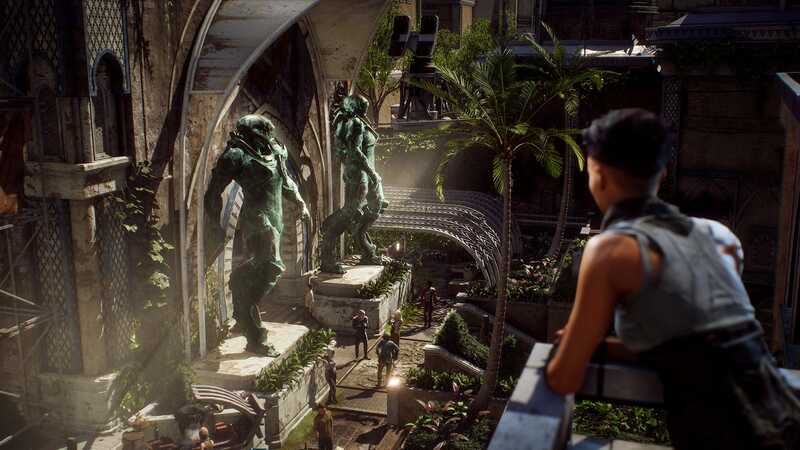 The NPCs of Anthem are less Garrus and more. Chakwas. A video shown during the presentation called this "a reinvention of personal narration in a multiplayer game," and this reinvention means massive changes. To set this up, the developers discussed Hub Zone: Fort Tarsis, the starting point for missions that the player has in front of him. There are several different characters in the fort that you can talk to, give you missions, and discuss the results of those missions with you. From what has been revealed, however, these interactions are very limited. Conversations are only groups of two possibilities. These are not "yes / no", but they generally seem to be opposite tones. The results of these decisions affect your relationship to these characters and the visual layout of the environment, but it is unclear what else is happening through them. The developers have also made it clear that there are no decisions affecting the story during the missions, so I would not expect anything like the ingenious Rachni-Queen arbitration point in Anthem shows up. Yarrow, an NPC with whom you can talk. They also said that these decisions you make with NPCs at Fort Tarsis will not create or block content. This means that you can not make someone so angry that he refuses to give you missions or make you so happy that he gives you better equipment. In most cases, the relationships that make up your decisions seem like a way to tell your own story and have little impact on the actual game play. While the Developers Are Not When I put it this way, for me it's a comparison to how the Destiny games handle their mission mission and their article sales. The tower rarely changes, and you go there to do new things. But what if you could talk to Ikora? What if you could drive Lord Shaxx nuts? This seems to be the leap made by Anthem but with the added benefit of giving these characters longer-term narratives. At the meeting, the developers explained this in the sense that a seller is not just a seller. You learn something about them and their history. It's unclear to me whether this will be enough for those fans who want to find their way through a science fiction world. It still does not seem to be that it is a live option. Instead, we will define "relationships." And, you know, if situations like basting beer cans with my best brother are not available, then I'm not sure I'll be fine. It seems Bioware are open to feedback, because until February 1, when a demo Anthem is released, there are several alpha and beta feedback options. The developers did not discuss platforms or details for this demo. Update, 17:10 – I have added the above quote "a reinvention of the personal narrative" with the additional label "multiplayer" in the expanded game "to add a context in the original version This quote is from a video shown during the presentation.